Presented by Matthew Sweet. With chess grandmaster Garry Kasparov discussing his book about Vladimir Putin and Stuart Maconie reviewing an exhibition about Salford Lads' Club. 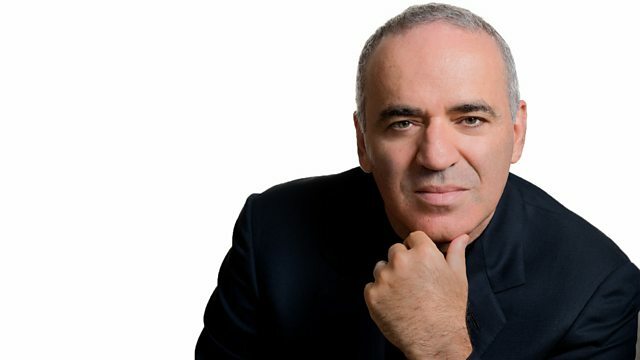 Matthew Sweet is joined by chess grandmaster, Garry Kasparov, and former British ambassador to Russia, Tony Brenton, to discuss Putin and Putinism. BBC 6 Music's Stuart Maconie author of The Pie at Night - a book which explores northern leisure pursuits - reviews an exhibition about Salford Lads Club. Feminist and co-founder of the group Justice for Women, Julie Bindel, and Rachael Jolley, editor of Index on Censorship magazine look at the phenomenon of 'no platforming'. Radio journalist Gillian Reynolds pays tribute to Philip French and discusses working on Radio 3's Critics' Forum with the late film critic and radio producer. The Nippers of Salford Lads Club is on at the People's History Museum from Wed 28 Oct 2015 - Sun 17 Jan.
Stuart Maconie's book is called The Pie at Night. Garry Kasparov's book is called Winter is Coming: Why Vladimir Putin and the Enemies of the Free World Must be Stopped. (Photo Garry Kasparov. Credit: Igor Khodzinskiy).